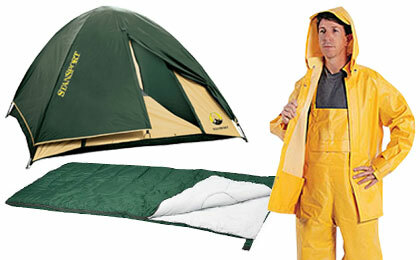 Temporary and emergency shelter to keep you out of the elements. When disaster strikes even the least bit of comfort can make the difference. Getting a decent sleep helps you rest and recharge to continue the fight to survive. From compact emergency shelters & tents to tarps and canopies, we have the stuff you need to weather the storm. Sleeping bags and blankets well help keep you warm and comfortable and our raingear will keep you dry and ready to face whatever comes your way.